New Palestine senior Alec White will place in the top eight at the State Finals, as he advanced through the first day of competition. The 126-pounder beat Colton Cummings of Lowell by a 5-3 score in Friday’s first round at Bankers Life Fieldhouse. White is now 36-1 on the season. He advances to face Matt Lee of Evansville Mater Dei (27-5) in the round of eight Saturday morning. 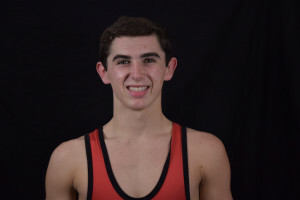 He is vying to become the third Dragon to win a state title, joining Nick Ulrey and four-time state champion Chad Red. The round of eight is scheduled to begin at 9 a.m. Saturday at Bankers Life Fieldhouse. Senior Alec White is now 36-1 and will place in the top eight at the State Finals.